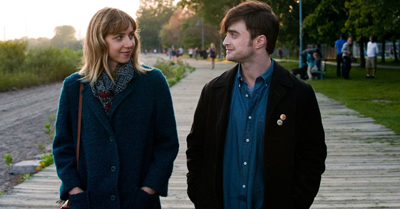 Wallace (Daniel Radcliffe) and Chantry (Zoe Kazan) meet at a party and become fast friends. The fact that Chantry has a long-time live-in boyfriend doesn't make a difference to the friends at first - until they both start wondering if there actually *is* something there between them. You may already know what it means if a baby's hand is bigger than it's face, but how well do you know What If?